Almost two thirds of American workers say that they waste at least some time at work every day. You may very well be one of them (are you reading this at work right now?). Remember, wasting time at work isn’t just limited to surfing the web. It can also include socializing with coworkers or spending time in a meeting that could have been an email. Snatching a minute here or there to check your social media or send a text while you are at work may not seem like a big deal, but it can add up over time. A recent Fortune magazine article cites a survey that found the average office employee spends 56 minutes per day using their cell phone at work for non-work activity. Think that sounds like you? Check out the below infographic to see how much that time could potentially be costing your employer. 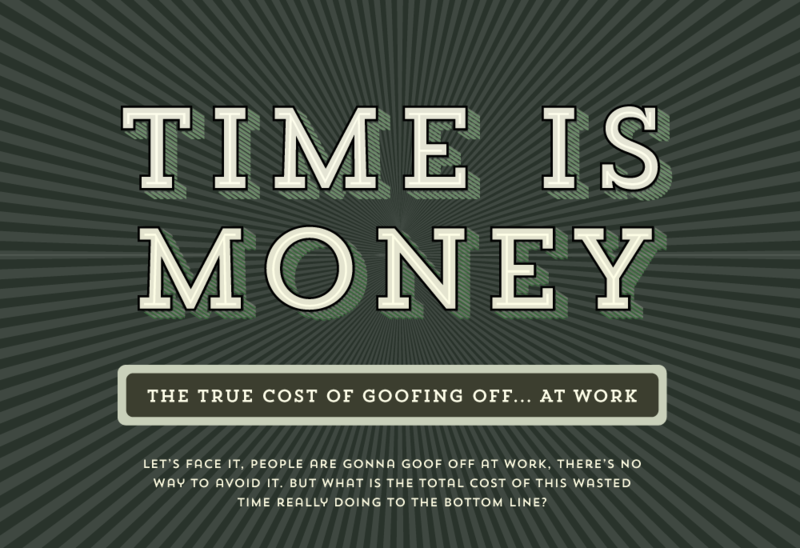 This infographic originally appeared in the June 2016 post The True Cost of Goofing Off at Work.